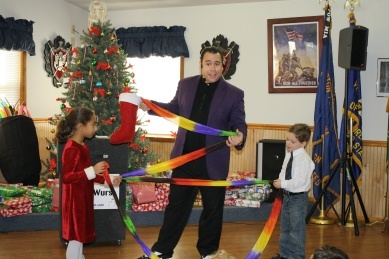 New Jersey Magician Mark H. Wurst Makes Family Events UNFORGETTABLE! "Interactive Family Entertainment Programs GUARANTEED To Tickle Everyone's Funny Bone!" Welcome to the hilarious, magical world of New Jersey Magician, Mark H. Wurst. 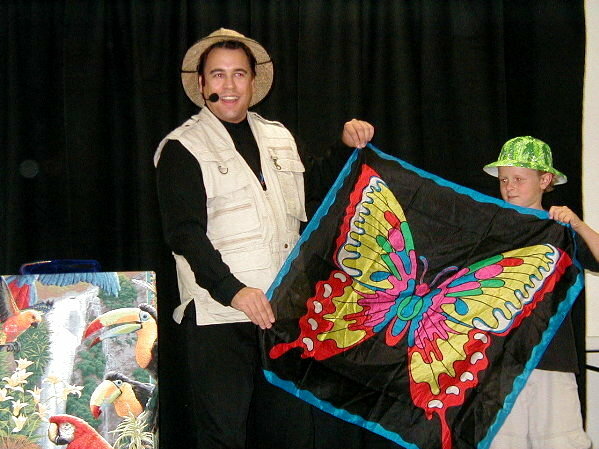 Since 1984 Mark has been dazzling audiences with Comedy Magic, and Interactive Entertainment Programs. Whether you are looking for entertainment for a small private party or large corporate event we have a package to suit your needs. All of our entertainment packages can be customized to best fit your event and the needs of your guests.. When the time comes to plan your child's special day, why not host an interactive, comedy magic program that makes them THE STAR of the show, and provides great birthday memories that will last for years to come?. REQUEST INFO now for pricing and package information on all of our interactive birthday party shows. 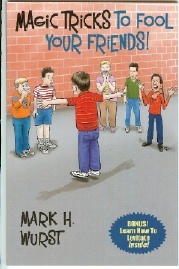 Mark's brand new book, "Magic Tricks To Fool Your Friends," his second book for children has just been released. 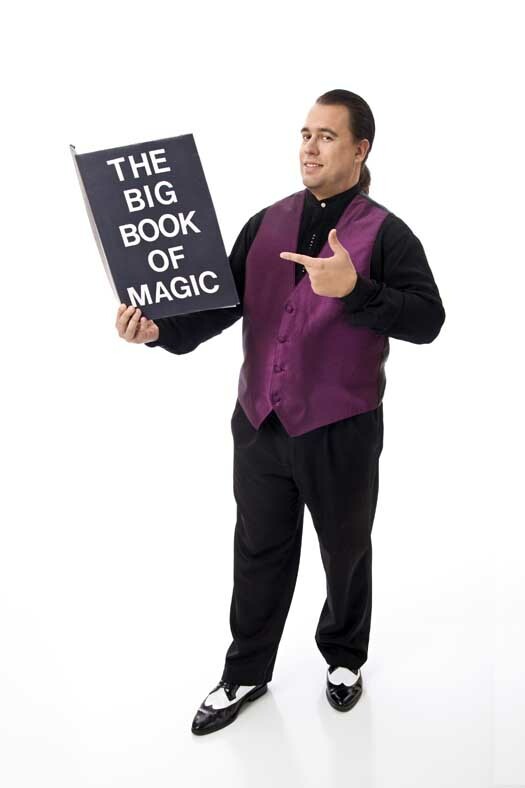 This book contains some awesome new magic tricks never before revealed for the beginning magic student. Kids of all ages and even adults will be performing amazing miracles and fooling their friends and family in no time! These books make GREAT gifts because they encourage kids to read and can be kept and used for many years. all available in our brand new Magic Shop. Sales of this book are helping the American Cancer Society in their fight for a cure. Each summer Mark writes a brand-new educational magic show around the state libraries' summer reading theme. Each new program is performed around 60-75 times within a 10 week period. Every year the show is viewed by over 5000 children and parents. All New Summer Reading Programs Every Year! Check with your local library to see when Mark Wurst will be bringing his exciting, educational and amazingly fun reading shows to your town. For Summer Reading Programs, Halloween, the Holidays or any other time in between, you're kids will be involved in an awesome program with free souvenir give-a-ways! Special Holiday programs are available for children as well as adult audiences. "Spooky Magic" is our wild and crazy Halloween show. It's not scary! It's just a whole bunch of good, clean family fun. "The Magic of Christmas" is available each year from November 15th - January 5th. Children (and their parents) go nuts watching all of the Yuletide fun. Adult groups, or as I like to call them, the 'Big Kids' will love their own version of this Holiday show complete with audience participation and comedy prizes. Both of these shows arrive at your school, library, office or venue complete with a full sound system, lots of festive Holiday music and tons of great magical memories to ensure your guests have a fantastic time. Don't be disappointed because you waited too long and were shut out. It's never too early to reserve a date for a Holiday performance! It includes intimate, close-up mysteries and sleight of hand that happen right in front of your guest�s eyes, and sometimes, IN THEIR HANDS! 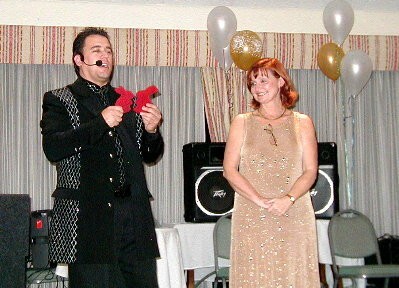 Strolling or Table Hopping magic can also be performed before our stage show. It allows everyone to get to know the performer a little bit and also wets their whistle for the magic and illusions that will come later on in the evening. Strolling Magic is performed right out of Mark�s jacket pockets. There is no need for any elaborate set-up. It can also be used to entertain guests who are waiting on line for a buffet-style meal. The magic is humorous and fun and makes the waiting time go by a little quicker. David Lee with close-up magic. It's like having a Las Vegas Cabaret show brought right to you and your event. Are you tired of the same corporate entertainment event after event? Has your attendance declined, or do people leave right after the dinner? Why not try something unique and different that will have your employees clapping, laughing, participating and will blow the roof off your next sales meeting, awards dinner or company party? Everyone will have a great time and you will be the company's HERO for booking such an awesome program. 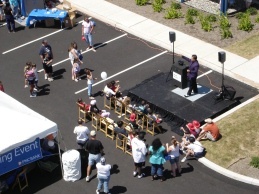 Having a grand opening event? Let Mark Wurst be your MC and main attraction!! Click this button to bookmark or share this page with others.